The Department of Veterans Affairs awarded a little-known contract Tuesday for virtual reality software that could one day have a dramatic impact on the ability of Iraq and Afghanistan veterans to deal with the various symptoms of post-traumatic stress disorder, or PTSD. 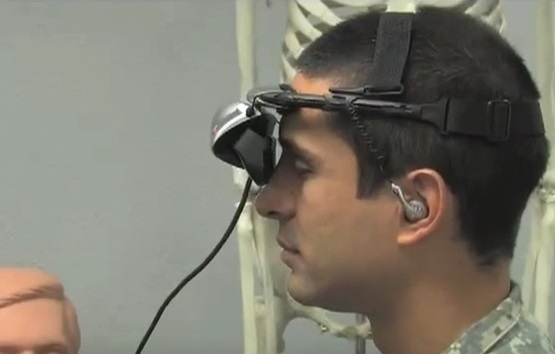 In a relatively small contract of just $77,496, the VA partnered with the San Diego-based Virtual Reality Medical Center (VRMC) to purchase a license for the company’s PTSD software. VRMC has spent the last decade specializing in applying simulation technologies to help treat patients with extreme phobias and anxiety disorders. But in 2011, a team of experts, including VRMC co-founders Dr. Mark Wiederhold and Clinical Psychologist Brenda Wiederhold, Ph.D., conducted a controlled trial of Virtual Reality-Graded Exposure Therapy. The study, backed by the Office of Naval Research, showed significant improvements in treatment of military service members suffering from PTSD. VR exposure therapy involves a 20-minute session wearing a virtual reality headset and headphones, which provde a 360-degree sensory experience powered by immersive, ultra-realistic graphics and sounds that enable patients to become actively engaged in previous stressful events. Wiederhold and his team then dial in just the right amount of stimulation while monitoring the patient’s physiological response. The veterans are taught skills to better cope with stressors and are then presented with VR scenes that include those stressors. The overall success rate has been over 80 percent, according to Wiederhold—meaning more than 80 percent of veterans who have been exposed to the VR therapy had success in lessening their PTSD symptoms. And more importantly, leveraging VR has enabled Wiederhold to overcome the stigma associated with traditional PTSD or pre-deployment stress therapy—in fact, it’s referred to as stress hardening instead of therapy and is increasingly being used to prepare troops for deployments to combat zones. And while younger generations of veterans are at home with technology and virtual reality systems, Wiederhold is keen to point out that VR is a serious tool in a serious medical treatment process. Still, VR exposure therapy doesn’t work for everybody, Wiederhold acknowledged. Some patients don’t respond to the ultra-realistic VR exposure, so therapists simply revert to older, tried-and-true methods. More than 19 percent of Iraq war veterans reported PTSD symptoms, major depression and other mental disorders upon returning home. More than 35 percent sought mental health services within the first year of returning home. To tailor their VR exposure therapy to the urgent need surrounding Iraq war veterans, VRMC has developed virtual simulations of those battlefields that include convoys, battalion camps, hospitals, marketplaces, and Iraqi villages. In these scenarios, patients are able to re-experience certain situations like a convoy ambush, patients screaming in pain, the littered streets of Iraqi villages, citizen interaction, and pre-operation at the battalion camp.